BMS : Master Series 0062 and 0064 wrapped up. PR Geert (10*13). MS1 0064 is drawn 5-5. PR Johan (10*13). MS1 0064 is drawn 5-5. PR Robin (10*13). MS1 0062 is drawn 5-5. PR Michel (10*13). MS1 0062 is drawn 5-5. Encourageing PR’s by all four players. Geert (3), Johan (4) and Michel (2) solidify their BMS ranking, while Robin (9) is edging closer to below-7 status. Johan Huyck is off to Cyprus with good PR’s under his belt. 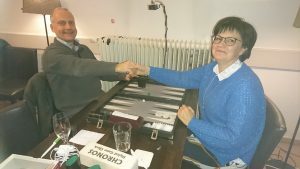 The 6th Merit Open International Backgammon Championship is a monster event in Cyprus (40.000€ added prize money) which starts on Wednesday 31 October. 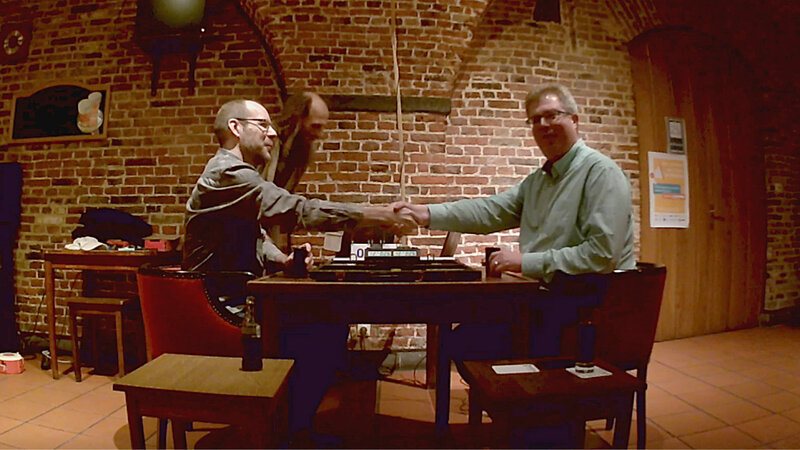 Johan Huyck will be the only BgFed.be member present. The strike by the luggage handlers in Zaventem forced him to make a costly detour to Warshau, but there is no doubt Johan will be well-rested and eager to perform when he appears at the board on Day 1 (Wednesday, 2 pm). PR Johan MS1 0061 (6*13). Johan wins 4-2. PR Paul MS1 0061 (6*13). Paul loses 2-4. These PR’s are a clear indication that Johan is establishing a significant skill gap between himself and his his closest pursuer, Paul Van Dijke. PR Johan MS1 0063 (10*11). Johan draws 5-5. PR Geert MS1 0063 (10*11). 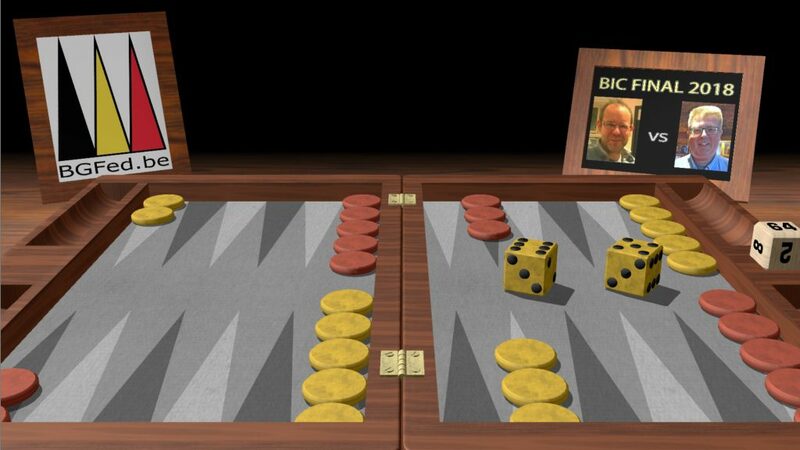 Geert draws 5-5. Again the skill difference is clear. One PR point is close to indisputable in a Master Series of 110 EP. Johan again manages a below-6 PR and seems to have found some solidity in his performances. 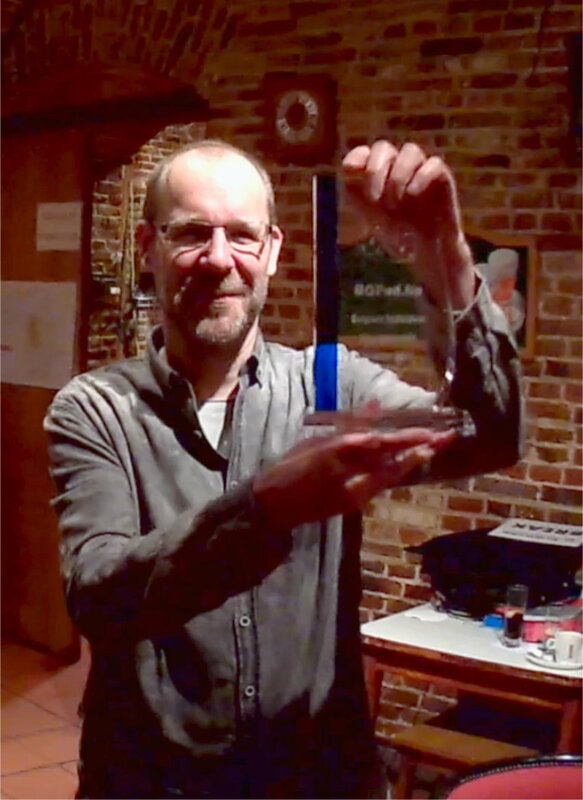 So has Geert, of course, who will surely dip below 4,50 PR in the months leading up to the European Team Championship in Montenegro next year (8-10 April 2019). Johan is now firmly positioned on spot 4 on the BMS Grading Table with 5,60 PR. On 15 and 16 September 2018, 26 players competed in a BMAB event in Nottingham. Typical for these BMAB events is that ALL matches are filmed by the tournament organization (i.c. Rick Janowski) and that the overall PR’s of all players are incorporated in the International BMAB list. Eager to make progress on that list, Geert Van der Stricht and I made the trip. Geert took a Friday night flight and I went by ferry and car on Thursday. Afterwards we were both happy. Geert won the event with 5 victories out of 5 matches (Geert was tied first with Lawrence Powell, but won the 1-point decider for the trophy) and I shared 2nd prize in the PR contest with a morale-boosting performance. Also part of our satisfaction was the fact that the hotel is supremely located close to Midlands Airport, offers great rooms for about 65€ (with English or continental breakfast) and is organized with strict adherence to the schedule. 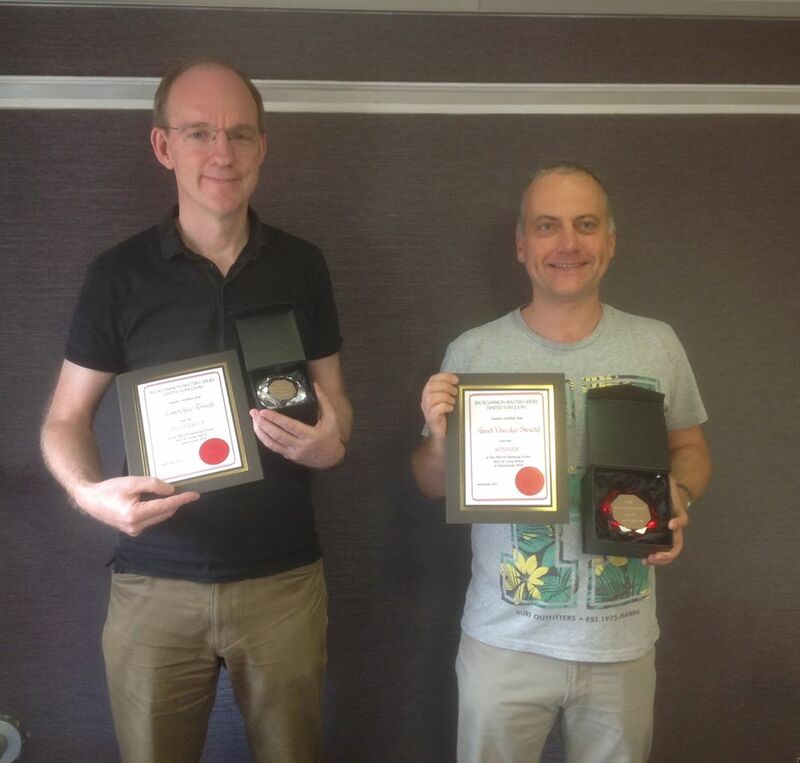 Geert (r) and Lawrence (l) present their BMAB certificates. PR Geert (5*13). Won 5/5. PR Michel (5*13). Won 4/5. After this event, Geert and I remain in close proximity on the BMS Grading Table. We are both about 0,4 PR point behind Belgium’s uncontested number 1, Marc Van Damme.